Chances are that you’ve heard about the health benefits of high-intensity interval training, better known as HIIT. HIIT is repeated bursts of short, yet intense exercise separated by periods of recovery. It may boost metabolism (read the latest reasearch), improve blood pressure, and reduce blood sugar. 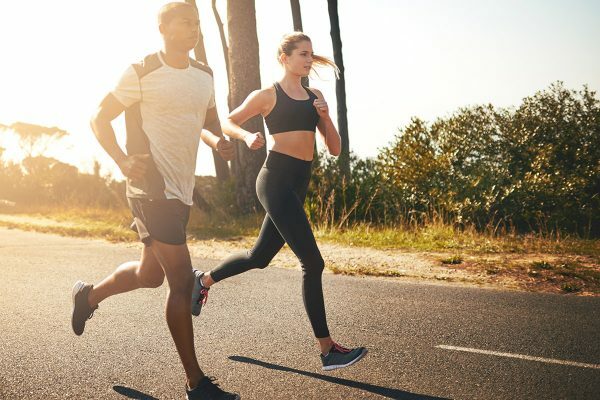 According to Dr. Todd Astorino, a professor in the kinesiology department at California State University, San Marcos, who researches HIIT, the workout is a highly effective form of exercise. HIIT workouts have amazing health benefits. Check out some of our sample workouts here. Plus, Dr. Astorino says, you don’t have to maintain that intense effort for very long, as bursts can range 30 to 90 seconds, and entire HIIT workouts can be done in ten to 30 minutes. While working up a serious sweat without spending hours—or wasting time—at the gym is an attractive idea for many, we asked experts if it’s safe to do HIIT every day. Here’s what they said. According to Jessica Zapata, creator of Fitilates and co-owner of the Alberta-based gym Infinite Fitness, the answer is clear. No, you do not need to do HIIT every day. So, then how often should you be doing HIIT? Due to the highly effective nature of HIIT, there’s really no need to do it more than three to four times a week, Dr. Astorino says. He points to the U.S. government’s health guidelines that say adults need two and one-half hours of aerobic physical activity per week, and at least two days of muscle-strengthening exercise per week. And, the benefits are undeniable for people of varying fitness levels. HIIT is an effective form of exercise for many, including those who work out regularly, those who are obese, and those living with diabetes. “Science clearly says that if you’re a healthy adult, HIIT works as well as cardiovascular exercise, yet if you have diabetes or have heart disease, most of the evidence shows it works better,” Dr. Astorino says. Looking for the right workouts for your fitness level? 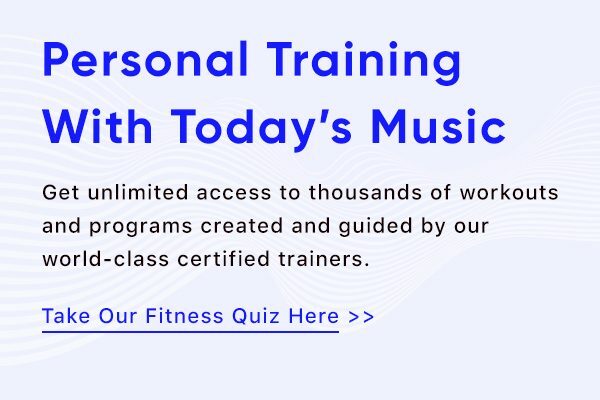 Take our 2 minute fitness quiz to find the right workouts for you. Like with any exercise, Dr. Astorino says that you may get bored if you do the same routine regularly, and your progress may also plateau. “If you do the same regime, including the same number of bouts and the same length of bouts and intensities, your gains might level off,” Dr. Astorino explains. Plus, there’s a chance of injury if you do the same repetitive movements over time without recovery time. “If you’re doing HIIT on a treadmill, which would imply sprinting, you might have some shin splints, ankle problems, or joint pain,” Dr. Astorino adds. Zapata echoes this stance. She says too much HIIT can have negative effects on your body and leave you susceptible to injuries. Since HIIT can be done many different ways—including outdoors or without equipment altogether— there are ways to reduce the likelihood of hurting yourself. Dr. Astorino suggests doing HIIT on a bike. Research shows that biking is gentler on your knees and joints than running. Even if you’re a HIIT fanatic, Dr. Astorino says that research shows that HIIT typically does not increase strength as much as other workouts, such as lifting weights. Bottom line? HIIT is a great, safe, and effective workout, but there’s no need to do it every day. Keep it to three times per week. You’ll still reap the benefits and give your body time to recover properly. Let Aaptiv help with your fitness journey. Our HIIT workouts are just what you’re looking for. View samples here. Should I Even Attempt to Do HIIT While Injured? The answer depends on your injury and its severity.